Welcome to Van Alstyne ISD! 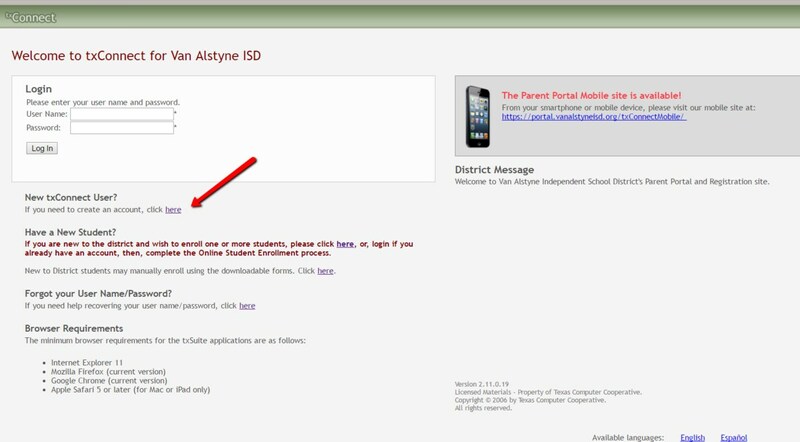 You will not be able to digitally sign forms until your email address has been verified. Go to the My Account tab to be sure your email has been verified. If your email is displayed under Email Address, proceed to the Summary tab. Email address must be verified before continuing. Click View/Edit Forms. 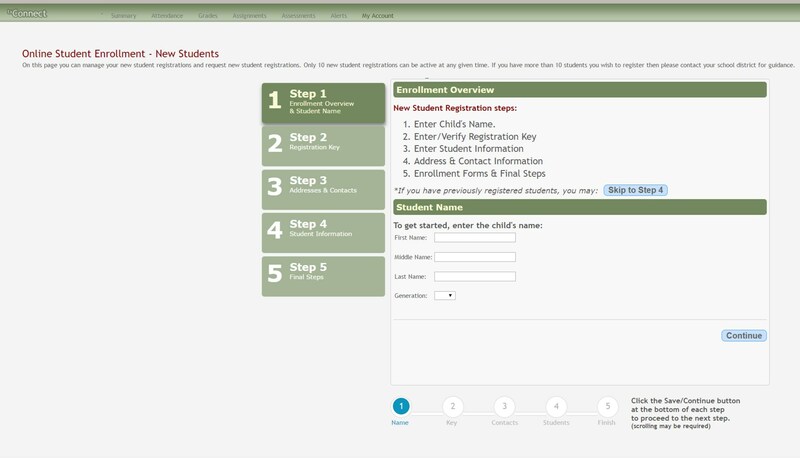 Click on Registration and update each form with current information. It is important that all emergency contact information be current and correct. Digitally sign documents as allowed. The following documents will need to be filled in, printed and signed by a parent. These documents are not available for electronic signature. Step 1: Setup a txConnect User ID and password. See directions below. Step 2. 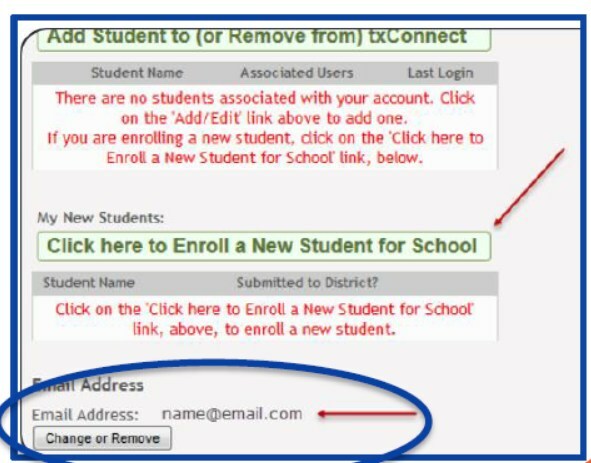 After email verification has been entered click in green box Click here to Enroll a New Student for School. Step 3: Enter requested information following the directions on the screen.